Ethiopian anti-terrorism laws are forcing journalists into exile and prison, a push the government says will secure the nation. Ethiopia's jailed Zone 9 bloggers are on trial this week for terrorism and treason, charges facing more than two dozen journalists, bloggers and publishers. To avoid arrest, 30 journalists fled the country in the past year. The government says they’re criminals, destabilising Ethiopia's fragile democracy in the name of “press freedom.” Rights groups say they’re victims of repression. Join us at 1930GMT. What do you think? 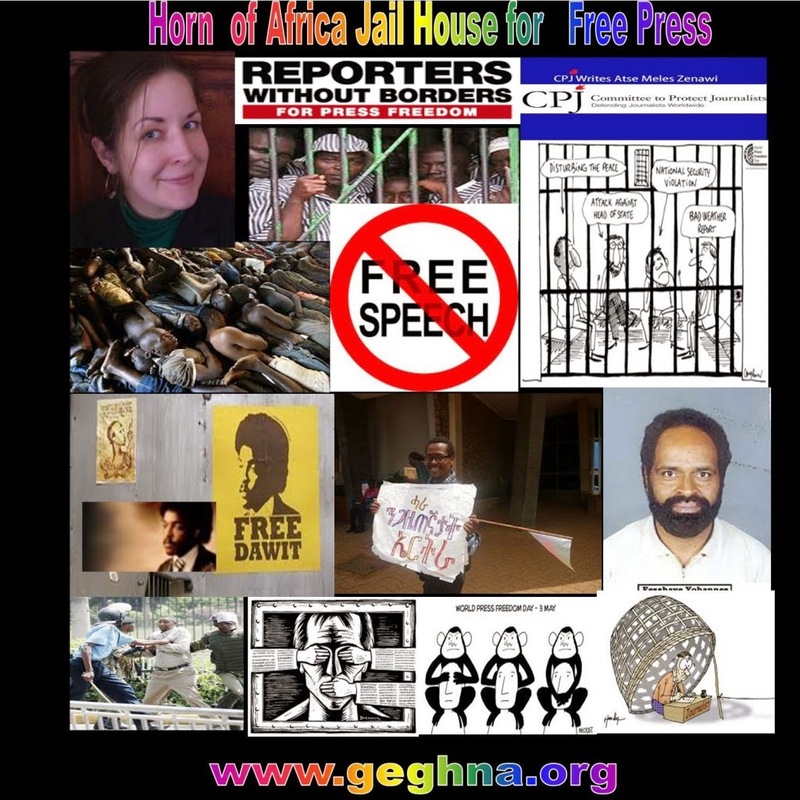 How much dissent should Ethiopia allow its media to exercise? Record a 30-second video comment or leave your thoughts in the comments below. Image by Hugh D'Andrade, remixed by Hisham Almiraat, used with permission. 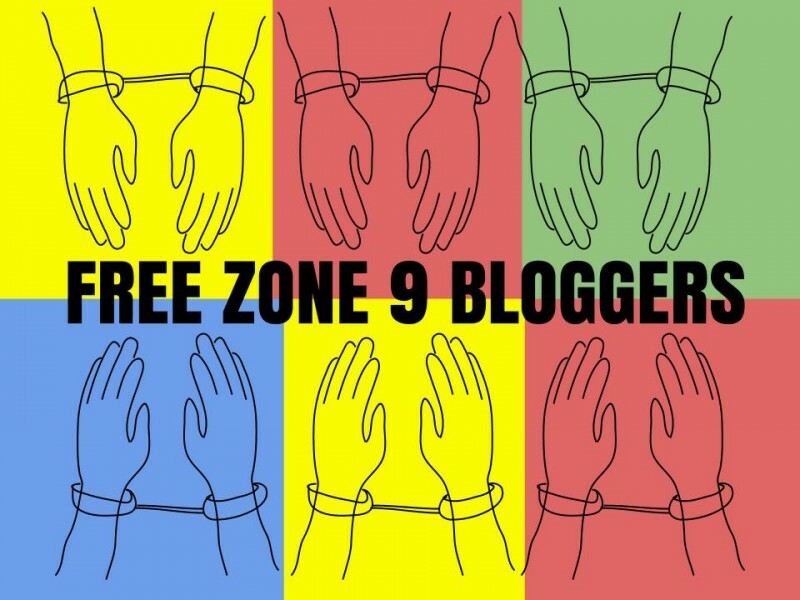 Last April, nine writers were arrested and imprisoned in association with Ethiopia's Zone 9 blogging collective. Eleven weeks later, they were charged under the nation's Anti-Terrorism Proclamation. Since their arrest, Soleyana Gebremicheal and Endalk Chala, two members of the collective who now live in the United States, have advocated tirelessly for their colleagues’ release. Global Voices is honored to publish this original contribution by Soleyana and her colleague, Patrick Griffith, who are now petitioning the UN Working Group on Arbitrary Detention to intervene on the bloggers’ behalf. Although the government has held 16 preliminary hearings, the trial has yet to begin. If past cases are any indication, however, the outcome has already been determined. That is why the Ethiopian Human Rights Project and Freedom Now have filed a petition with the United Nations Working Group on Arbitrary Detention, which shows that the continued imprisonment of these peaceful activists violates international law. The work of these activists and journalists advocating for basic rights is clearly protected under international law and the treaties that the Ethiopian government has ratified, including the International Covenant on Civil and Political Rights and the African Charter on Human and Peoples’ Rights. As such, the government's imprisonment of these individuals on spurious terror charges is arbitrary and illegal.